The United States has Donald Trump. Australia has Clive Palmer. Earlier this week the billionaire Palmer announced that he was building Titanic II, a near-exact replica of the legendary ship. "It will be every bit as luxurious as the original Titanic, but, of course, it will have state-of-the-art, 21st century technology and the latest navigation and safety systems," Palmer said in a statement. Palmer has an estimated net worth of about $5 billion and made his fortune in the mining industry through his company, Mineralogy, and investments in other natural resources companies. He is known for headline-grabbing statements, such as his claim that Greenpeace was being funded by the U.S. Central Intelligence Agency to bring down Australia’s coal mining sector. Click play for a news report on Titanic II. Palmer announced the Titanic II project at a press conference during which he also said he was challenging for the Australian parliamentary seat held by the deputy prime minister. He told the Australian press that he had signed a memorandum of understanding with the Chinese CSC Jinling Shipyard to build the liner, which is to make its maiden voyage from London to New York in late 2016. 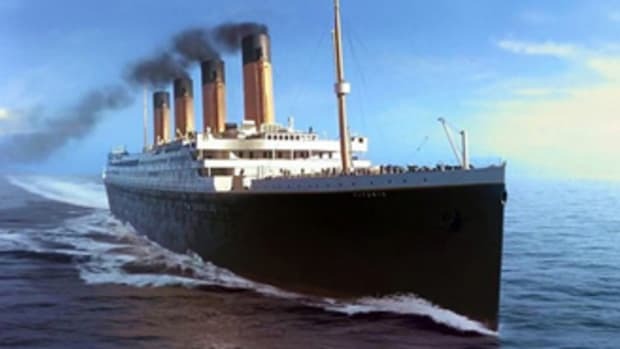 He said design work — to be done in conjunction with a historical research team — had started on the ship, which will have the same dimensions as RMS Titanic, with 840 cabins and nine decks. “I don’t want to die wondering — and I’ve always wondered — can we build another Titanic?” Palmer told ABC Radio. The ship is to be part of a planned fleet of luxury liners, according to published reports.